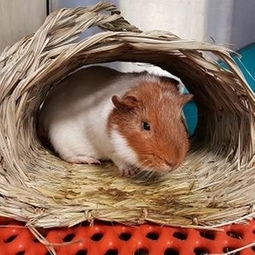 We offer quality boarding for your guinea pig or pocket pet. We strive to make them feel comfortable, safe and secure. The entire staff is experienced in their proper care. They truly love hanging with us and you have peace of mind that your pet is being well cared for when you are not able to do that. Call our office for pricing and reservations.